Post subject: Stay Original or Not? When I did the last big tidy-up, 16 odd-years ago, I resprayed it the original colour and the only changes made were to add W&P arches and to change the stero/speakers. I think it's time to start putting the money together for another rejuvenation but I was wondering how original should it stay - or does it really matter with a Thirty that's all ready been repaired / tinkered with. Post subject: Re: Stay Original or Not? It's your car so you can do as you like with it. Now it it was a black version with the factory sun roof, then original spec would increase the desirability a bit . Yeah; kinda thinking that way to. As you say if it was a black one or an exceptional cherry one I probaby wouldnt alter it. When I got my Equinox it had been "Cooperised" with a black and silver interior and Cooper badges and decals. When I did it up I got an Equinox interior and decals but kept other extras like full dash , spots and different alloys. 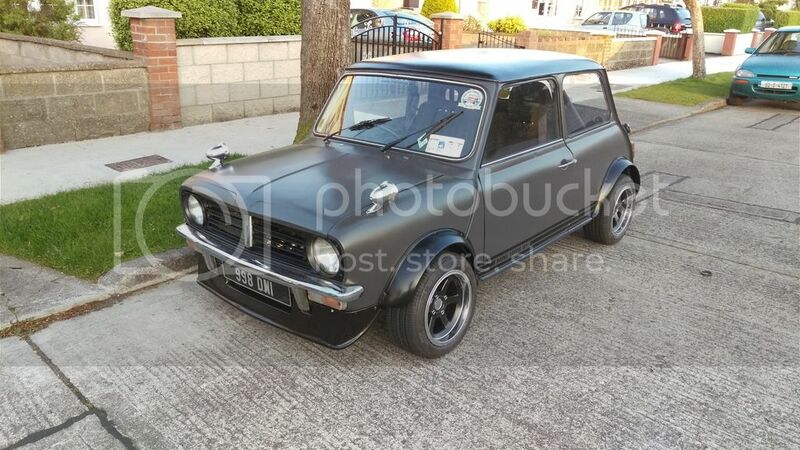 There will always be original cars out there and thats good to see but at the end of day your mini is yours to do up in a way that makes you happy.